Dynamic and colourful performances of stylish but little-known Baroque repertoire from an exciting Italian period-instrument ensemble. On their latest album, Schiavo and his ensemble dedicate their energies to the 18th-century virtuoso and composer, born on the coast of what is now Slovenia, who became a reference point for violin-playing in Venice, in Padua and then across Europe. The four-part sonatas and sinfonias for strings gathered here may not have been ‘chamber music’ in the pure sense of the term as we understand it today, but these highly attractive works certainly played a seminal role in the development of the genre before it was crystallised by Haydn and Boccherini in the form of the string quartet. 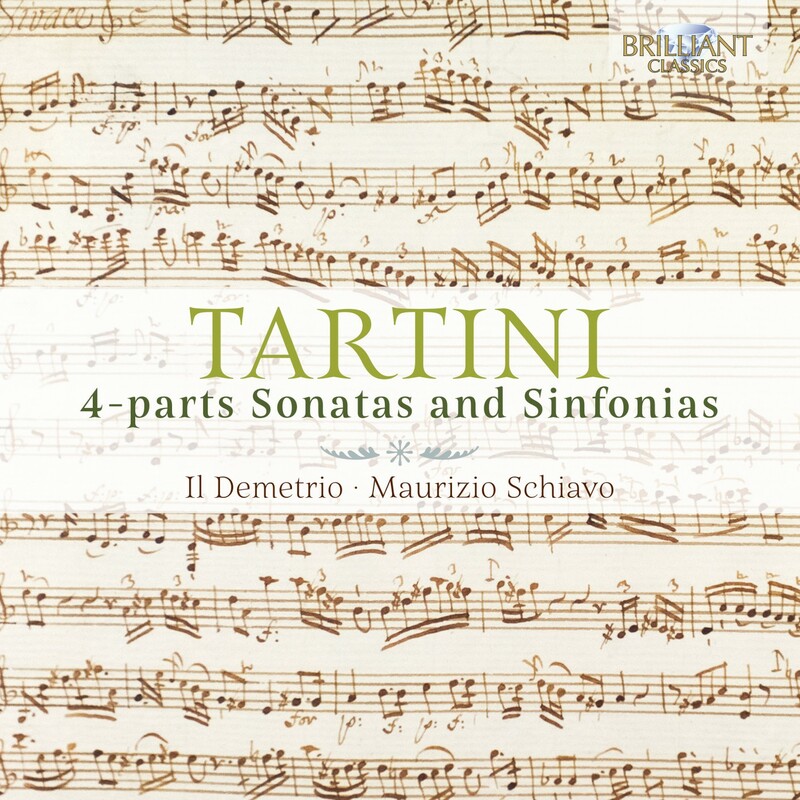 Some of the sonatas are recorded with basso continuo in the Baroque style, some without; all of them have a lively, galant style, abounding in the kind of elaborate violin figurations that made Tartini famous with his ‘Devil’s Trill’ Sonata. There are close-knit dialogues and intricate imitations as well as gravely beautiful slow movements; anyone who wishes to join the dots between Bach and Haydn will delight in the scholarly and stylish work of Il Demetrio. Giuseppe Tartini (Pirano d'Istria 1692 - Padua 1770) was a virtuoso violinist, composer, theoretician and teacher, a spider in the international cultural web in a time when Italy was the centre of the musical world, his violin school, the “School of Nations”, attracted musicians from all over Europe. 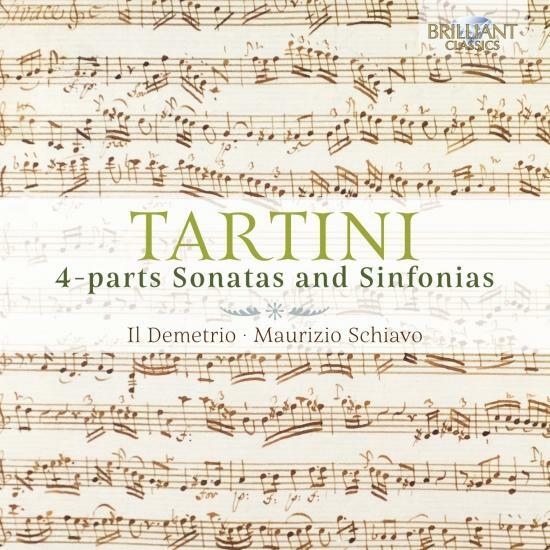 Tartini’s 4 part Sonatas & Sinfonias are modeled in 3 movements, fast-slow-fast, and bear witness of the incredible skill of Tartini’s string playing, they are highly melodious works of great beauty and charm. 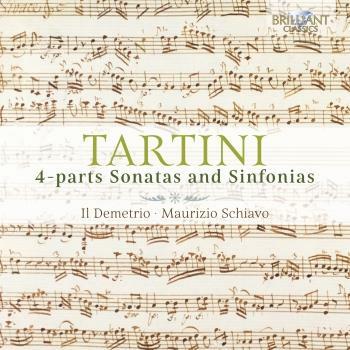 The quartets for 4 parts are not strictly String Quartets in the classical sense as they include a basso continuo, suggesting a concertante or symphonic performance practice. The present recording also explores the option of playing without continuo (harpsichord), thus creating a true classical string quartet. 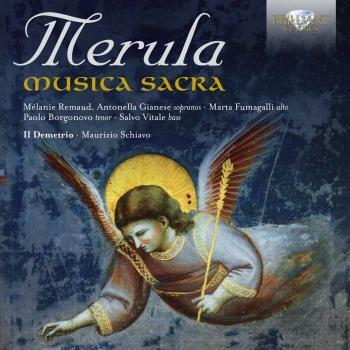 The Italian group Il Demetrio is dedicated to explore hidden treasures from the Baroque, having discovered and performed works by Myslivecek, Rolla, Cagnoni and others. They collaborated with famous soloists like Giovanni Sollima and Avi Avital. The extensive liner notes are written by a musicologist.